February is my least favorite month. On Saturday I woke up with a lump in my throat. Over the course of the day, I swallowed it and the lump turned into a painful pit. For a week now it has grown in the base of my stomach, near that place where the butterflies live, eating away at me from the inside. Sometimes I feel it in my heart, skipping a quick beat. Other times it wonders my brain, distracting me from every-day life. At night I dream of it, haunting me. Three years ago today I lost someone. I can't believe it's been three years. Even writing that feels like a fresh stab to my gut. How has so much time passed and yet it feels like it was just yesterday? I have not blogged much about the loss of Tanner. Being the ex-girlfriend is an awkward position to be in. You assume people look at you as if you don't have a right to be upset, because things didn't work out. The hard part is, just because a relationship didn't last doesn't mean you weren't in love. One year ago today my heart was shattered. When I heard the news it was as if my lungs collapsed. My brain went numb and I could have drowned in all the tears I shed. There is something about your first love that you never get over. I will always be in love with Tanner. I miss him every minute of every day. I missed him even before he was gone. Time has passed. Things have changed. The world is different. One year later and my heart still aches. One year ago I wrote a letter to Tanner's parents with some of the amazing memories Tanner and I shared. For two years we lived a fairytale. We wrote a story I know Tanner, the ultimate romantic, was proud of. I have decided to share a little of that letter here, because what's the point of writing a perfect love story if it can't be read by others? Tanner, our HUGE book worm would have liked it that way. "When I was 16 years old a complete stranger asked me to homecoming. When I first answered the door to my house I was anxious and excited to see who this mystery person could be. The messenger had left me little beads with letters written on them, which I was supposed to unscramble to decipher the name of my date. I spent probably 2 hours mixing up letters and trying to figure out who this person was. But, after some time I finally gave up and forced my friends to tell me. The letters spelled out TANNER ADAMS. As embarrassing as it sounds now, I actually had to go to my yearbook to see who he was. I was this shy, little girl who really only associated with my small circle of friends. Why was this popular, smart, attractive, senior asking ME to the dance!? I remember being both terrified and thrilled. The next morning I woke up to a text saying “Hi! This is Tanner, I hope you don’t think it’s too weird that I asked you to homecoming…We should probably get to know each other.” And that’s how our adventure began. I’m sure you remember just how shy I was when Tanner and I first started dating. I was scared of the world and very insecure. After reading through countless letters and emails that Tan sent me throughout our 2 years I began to notice a theme. In every letter he wrote me he mentioned the fact that he wished I would break out of my shell and let the world see the brave person he knew I was. I can honestly say that it is thanks to his endless encouragement that I’m the person I am today. He taught me to be confident and I can never thank him enough for that. 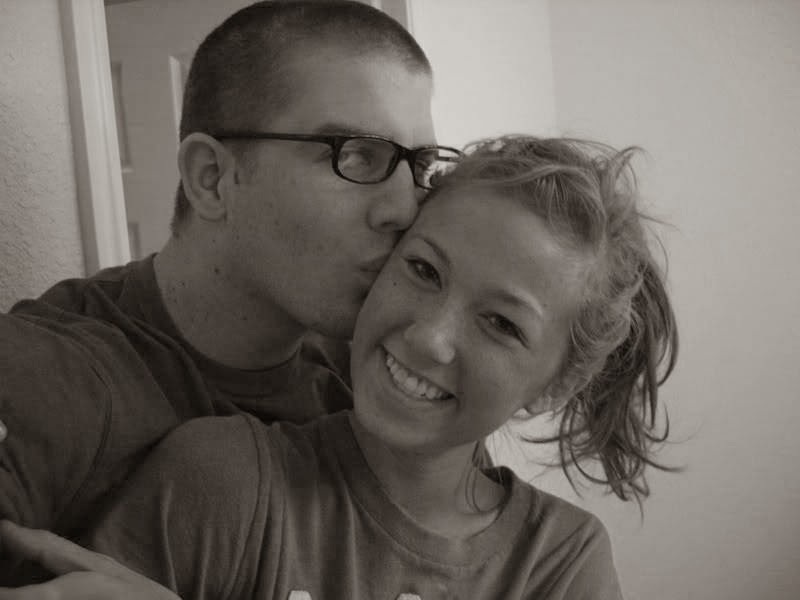 Along with confidence, Tanner taught me kindness and love deeper than anyone I had ever seen. Everything he did showed just how enormous his heart was. I remember watching him give money to the homeless, playing basketball with little children and eating lunch everyday with the kids that didn’t have many friends. He was so loved by every person he came in contact with, his infectious smile and warm hugs could brighten even the darkest days. During my junior year I caught pneumonia and missed a good week of school. I remember laying in bed crying on the phone to Tanner about how miserable I felt. Later that day I awoke from a nap surrounded by gifts to cheer me up. He even let me borrow his bear Mr. Rick for the week and gave me directions on how to best let him heal me. When Tanner and I had only been dating for a few months he decided to buy me a present. He talked for weeks about the fact that I had a surprise coming. I was totally clueless as to what he meant. On the first day of Thanksgiving break my family was preparing to road trip to Arizona. Minutes before we left Tan showed up at my house with a little gold package and told me I should wait and open it in the car. As we began our drive I eagerly opened my gift, inside was my first iPod. I can’t tell you how ecstatic I was. I’m pretty sure I avoided my family for the entire 12 hour drive listening to the music he had preloaded on it for me. As we neared the end of our drive it began to get dark outside. Tanner sent me a message saying, “Hey, will you do me a favor and listen to Out of My League” by Stephen Speaks?” I had never heard the song before but from that day on it became my very favorite. I listened to it yesterday while I was driving in my car and thought about how wrong he had been in insisting that the song was about me. I know now that it was completely the other way around; Tanner was the one out of my league. I was so lucky to have such a thoughtful, loving, incredible boyfriend. A year later Tanner moved to Dixie and with that came our first long-distance relationship. I cried and cried for weeks because I missed him so much. One day I was having a particularly hard time and he seemed to pick up on it. I remember receiving a text message from him saying: “Cheer up! Today is Annie day!” I had no idea what this meant but I decided to go with it. Within the next hour I began receiving messages from everyone I knew and even some from people I didn’t know. They all said “Happy Annie Day!” All over the school everyone I saw said the same thing. I honestly felt like I was in a movie. Tanner had contacted every person on the planet (almost) and told them to make sure I had a great day. I can’t tell you just how special I felt. 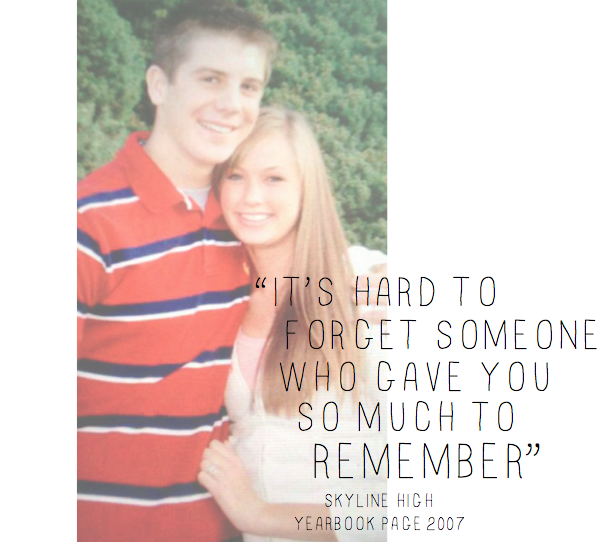 He was the sweetest boyfriend any girl could ask for. You always hear people say that you never stop loving your first love and I really think it’s true. Tanner will always have a special spot in my heart and not a day will pass that I don’t thank God for the opportunity I had to spend part of my life with him. I will never, ever forget those two years we spent together and the fairytale he created for me." I was sitting in the Salt Lake airport when I heard the news. Do you want to know the first memory that came to mind? It was a letter Tanner had written to me years ago telling me how happy I made him. My second thought was a question. Did he have any idea how incredibly happy he made me? When Tanner lived in St. George I would visit whenever I could. However, there was a time period when I was busy with school and work and dance and I just couldn't make it down. Weeks had passed with us apart from each other and it really upset me. I was completely pathetic. So much so that Tanner told me he didn't like to talk to me on the phone at night anymore because he hated hearing me cry. One morning I awoke to someone kissing me on the forehead. I was completely delirious and had no clue what was going on. When I finally woke up I saw Tanner sitting on the end of my bed. He had driven 5 hours through the night just so he would be there in time to wake me up for school the next morning. Like I said, he was the ultimate romantic. My own character from a Nicholas Sparks book. Sometimes I wake up in the morning convinced he is going to be sitting there on the end of my bed. It's funny how years can pass but it feels like yesterday. One year ago I kissed Tanner on the check, stained his shirt with tears, and said good-bye. I think of that day constantly and miss my sweet Tan. I hope you will all hug your loved ones today. And then read a great book, watch a chick flick, put some A1 on your steak. Remember Tanner and all the happy memories he left us with. Rick, Cindy + the whole Adams family - I love you.